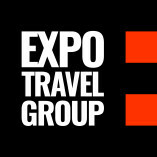 Expo Travel Group® is B2B tour operator. We will offer you hotel booking, meeting and transfer services. Most of our worldwide clients save an average of 15% from their business travel to major expos in Europe.